USA Patriotism! proudly recognizes . . . patriot singer / songwriter, John Ondrasik, for his ongoing support of our troops through his performances and other patriotic efforts. John Ondrasik has spent the past decade writing deeply personal songs that include social messages, invoke the human spirit and also make an emotional connection. 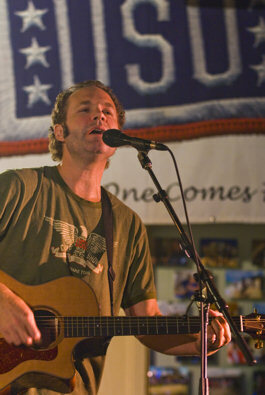 This can be heard on the past three albums by Five For Fighting, the band name under which he records and performs. Ondrasik first came on the scene in 2001 with his Grammy-nominated song "Superman (It's Not Easy),” from the Platinum certified America Town (Aware/Columbia) CD. Already climbing the charts prior to 9/11, "Superman" went on to have a life of his own, becoming a song of healing for the nation. John joined superstar musicians for the now legendary post 9/11 fundraiser The Concert For New York. In 2004, John recorded the Platinum-certified album, The Battle For Everything, which yielded the massive hit, “100 Years,” a song that has become a part of classic American songbook. With the most recent album, Two Lights, featuring “World” and “The Riddle,” John continues to craft songs with much of the material drawn from his personal experiences in regards to love, war, culture, family, humanity and mortality. The single “World” is a call-to-action song that proposes the question “What kind of world do you want"? In addition to his musical accomplishments, John has a made a personal commitment towards causes that are important to him. In mid 2007, Ondrasik launched a unique charity-driven web site, whatkindofworlddoyouwant.com that raises money for various charities when users view video clips provided by visitors to the site. 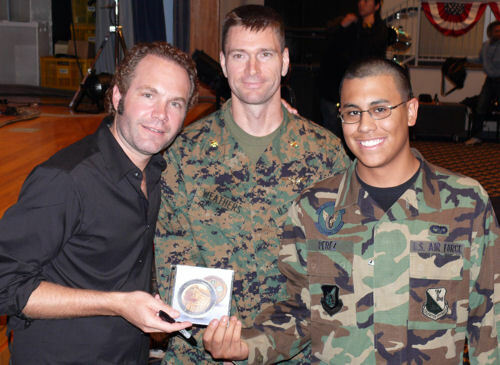 John Ondrasik with troops on USO tour holding his CD "For the Troops" (Photo by Dave Gatley) Devoted to the U.S. military, John Ondrasik participated in his first USO tour in March 2007. As part of his trip, he performed for service men and women stationed at Guantanamo Bay Naval Base, Cuba. In November of 2007, John embarked on another USO tour to Japan and Guam. John says, "I have a passion for the troops and their families — and veterans. As a songwriter, freedom of speech allows me to practice my craft. As a father, these people secure the freedom and liberty for my kids. It may sound scripted or cliche, but it's true." In 2007, he spearheaded, “For the Troops,” which is a superstar compilation album that was available shortly after Thanksgiving for distribution to every active U.S. serviceman . . . 200,000 copies of the CD was also donated to America Supports You groups, USO Centers, military hospitals and other military outlets around the globe. 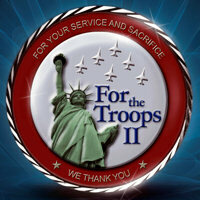 And for 2008 . . . John Ondrasik is following up this noble patriotic effort with the "For the Troops II" CD . . . which will be available during a similar period. 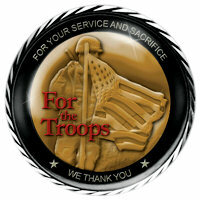 Troops and veterans with a valid military identification can go to http://www.cdforthetroops.com to learn how and when to download the current CD for free . . . and can see the list of the music superstars performing on the CD. John Ondrasik and all who are involved exemplify . . . true patriots!